The Bandit VXL expands the Extreme Sports Buggy™ legacy with more power than you ever thought possible. 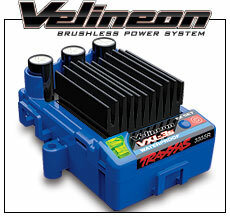 The Velineon Brushless Power System® accelerates into the stratosphere with jet-like thrust and incredible 70+mph top speed! 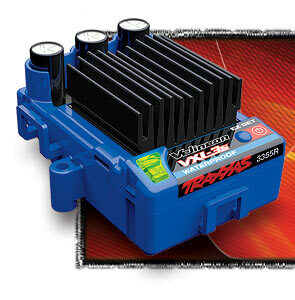 * Traxxas Stability Management® keeps it under control with arrow straight acceleration and sure-footed stopping power. The Bandit VXL is a low-slung, lightweight speed machine that's rocket fast on pavement and rips incredible roost off-road. Bandit VXL is a driver's machine that will put your skills to the test with its mind-blowing top speed and lightning quick handling response. 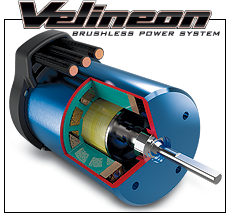 The Velineon brushless motor and electronic speed control (ESC) work together as an optimized package to deliver the ultimate in efficiency, speed, and run time. 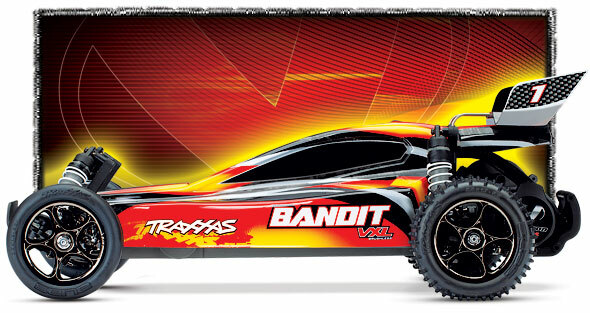 With the Bandit VXL, your battery selection determines your speed and skill level. Velineon accepts the widest range of battery types, including 3-cell Lithium Polymer (LiPo) packs. 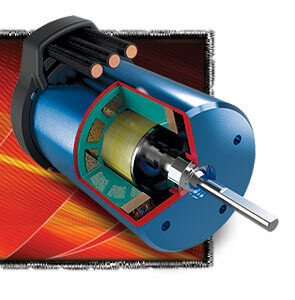 These packs pump out over 11 volts of power for intense, skill level 5 speeds beyond 70mph! Nothing else even comes close. 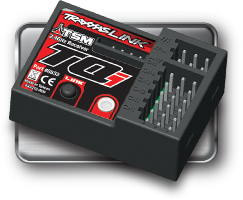 Built-in low-voltage detection in the VXL-3s™ ESC helps you maintain your LiPo battery packs in top condition. Bandit VXL lets you choose the performance you want! Choose your charging option with Bandit VXL! The Bandit VXL rolls out of the box Ready-To-Race® with the advanced TQi 2.4GHz 2-channel radio system and powerful Velineon Brushless Power System. The Bandit VXL is a blast to drive and easy to own with legendary durability, low-maintenance design, and unmatched parts support from thousands of hobby stores worldwide. With over 30 years in the hobby industry, Traxxas goes the extra mile to ensure that your RC experience is easy and fun (and fast!). A staff of skilled representatives is on-hand to answer your questions via phone, website, or email. 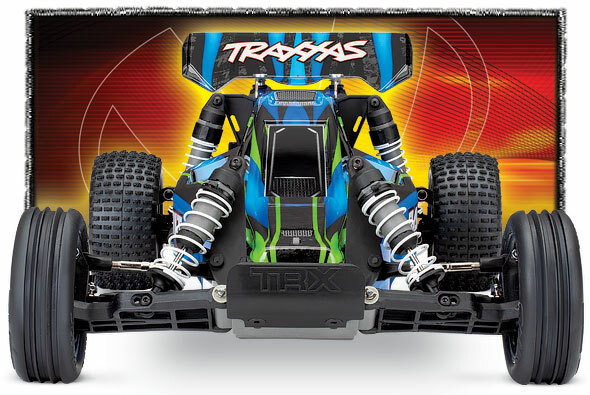 Traxxas 5859 Federn Hinten weiss progr.